Research and design collaborative Rural Urban Framework (RUF) was born out of a long, eight-hour journey through China that took its founders John Lin and Joshua Bolchover from Hong Kong, across the border to Shenzhen and northwards through the Pearl River Delta to a project in a small, remote village near the border of Guangdong province and Guangxi. They bonded not so much on the project itself but over the diverse landscape they passed, observing the collision between city and countryside, and the major transformation that peripheral Chinese villages are undergoing as the forces of urbanisation encroach on rural life. The two already shared similar interests — they’d both been in New York around the same time, Bolchover at Diller Scofidio + Renfro, and Lin at Cooper Union — but never met. And while Bolchover was looking at urban transformation in Manchester for the Shrinking Cities exhibition, Lin was creating small 1:1 design/build community projects in China. After meeting in Hong Kong, they set up RUF in 2005 as a non-profit organisation within the architecture faculty of the University of Hong Kong. Collaborating with charities, students, NGOs and government bodies, RUF researches and investigates the processes of rural urbanisation through built projects and exhibitions, with the aim of refocusing attention away from megalopolises and on to new models of rural development. Projects range from small-scale architectural interventions and self-initiated research, through schools and community centres, to designing and planning entire villages. RUF’s buildings are designed to enrich the community with more than just functional space, adding public spaces, playgrounds, reading rooms and informal gathering areas to strengthen villages and enable them to adapt to future change. It revels in working with low budgets and minimal resources, choosing to innovate with what is available rather than starting from scratch without taking into account the unique conditions of a particular place. It is an approach that at the end of last year won the practice the RIBA’s first International Emerging Architect prize for its Angdong Hospital in China’s Baojing County. Commissioned by a Hong Kong-based charity and working closely with the local health bureau, RUF developed China’s first charitable hospital as an open, accessible, permeable facility that could champion a new attitude towards rural healthcare. While traditional healthcare institutions are closed-off edifices, RUF’s design features a perforated screen of recycled brick and concrete that wraps around a wide ramp leading from the ground floor to the roof, framing a large courtyard space in the middle. The project also won the Curry Stone Design Prize at the 2015 Chicago Architecture Biennial. On the back of its success RUF is developing a cultural centre for the same village. Another project, House for All Seasons in Shijia Village in Shaanxi Province (2012), reconfigured the traditional Chinese vernacular home to provide a prototype for a modern, mud-brick courtyard house, while its Mulan Primary School in Guangdong Province (2012) is organised as a series of linked, open spaces with a stepped roof that forms a new public space and outdoor classroom. 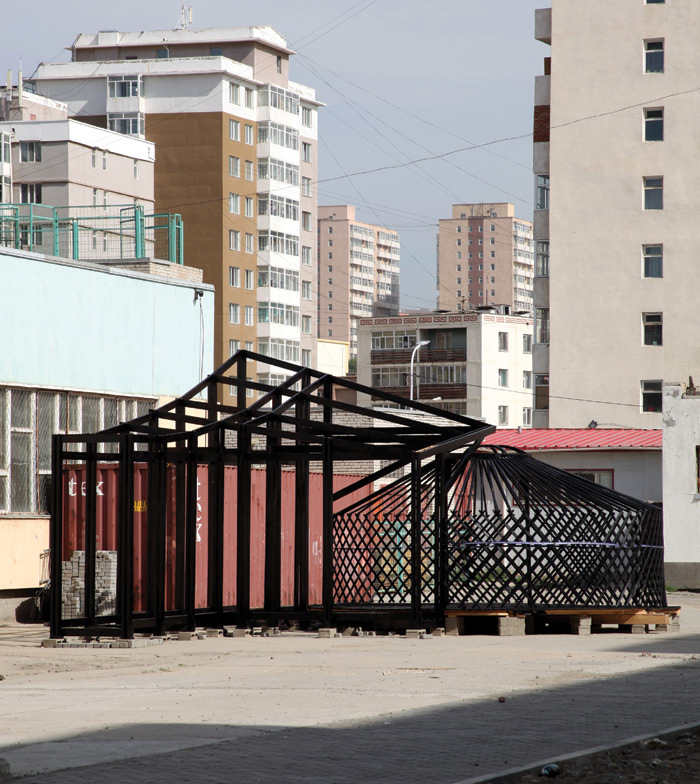 Elsewhere, RUF is exploring the migration of Mongolian nomads to the capital Ulaanbaatar and how the traditional ‘ger’ — a portable, tent-like, structure often surrounded by a wooden fence can be adapted for more communal urban life. RUF views the relationship between research and making as a symbiotic one — ‘Rather than making research with the view to making a project, we’re also doing projects with the view to making research,’ says Lin. For Lin and Bolchover, the ambition is to better understand broader issues surrounding the processes of rural urbanisation and ultimately, they hope, influence government policy.